January 17, 2014 -- http://www.mikemarqusee.com, posted at Links International Journal of Socialist Renewal with permission -- Further to “If not now, when?” On BDS and ‘singling out’ Israel", opponents of the boycott, divestment and sanctions (BDS) campaign against apartheid Israel accuse its supporters of unfairly “singling out” Israel while neglecting a host of other deplorable regimes. It seems that until we simultaneously campaign against all outstanding injustices, any campaign against a particular injustice will remain illegitimate. Presumably, however, the liberal critics of BDS have no objection to the Palestinians themselves “singling out” Israel and campaigning against the particular injustice that affects them. So they’re permitted to call for international support but we are not permitted to answer that call. If we were to follow the BDS critics’ logic, every struggle for justice would be left isolated. It’s being widely argued that the “singling out” of Israel betrays a variety of dubious motives: from anti-semitism to self-indulgent political “thrill seeking”. Why are all these people with no direct connection to Palestine so bothered about the issue? It’s sad but revealing that the one motive that is routinely discounted is sympathy with the victims of injustice and a desire to rectify that injustice. The BDS critics see the impulse to solidarity beyond national borders as somehow unnatural. Gazing through jaundiced eyes, they view the desire to assist the Palestinians in their struggle for freedom, equality and survival as something so extraordinary that it can only be accounted for by individual or cultural pathologies. What a miserable view of humanity and its potential! You take the capacity to empathise with strangers and turn it into a suspect deviation. A few years back I was in Swaziland meeting with democracy activists engaged in a demanding struggle against the despotic Coca Cola backed monarchy. One comrade (the word they use to refer to themselves and their colleagues), having been informed that I had written about Palestine and Zionism, took me aside and told me he took a keen interest in these issues. 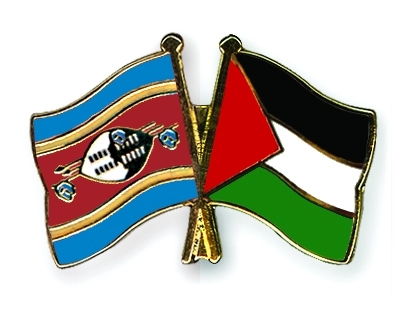 “We in Swaziland are not doing enough for Palestine”, he said sternly. I replied that I thought they had their hands full already. And I couldn’t help but smile. This guy has been repeatedly beaten and jailed by the Swazi regime. He lives in a small house in an impoverished district. Over his doorway, he told me, he has hung a sign reading “Free Gaza”. So he’s guilty of “singling out” Israel – in pursuit of an overriding commitment to mutual aid and support among oppressed peoples. I’d like to see the liberal critics of BDS take on this redoubtable comrade. He’d give them no quarter. Not least because he’s actually committed to the universal principles they claim to uphold.